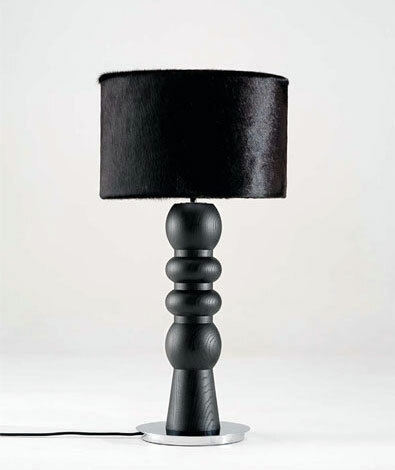 Design: Carlos Bimbi. 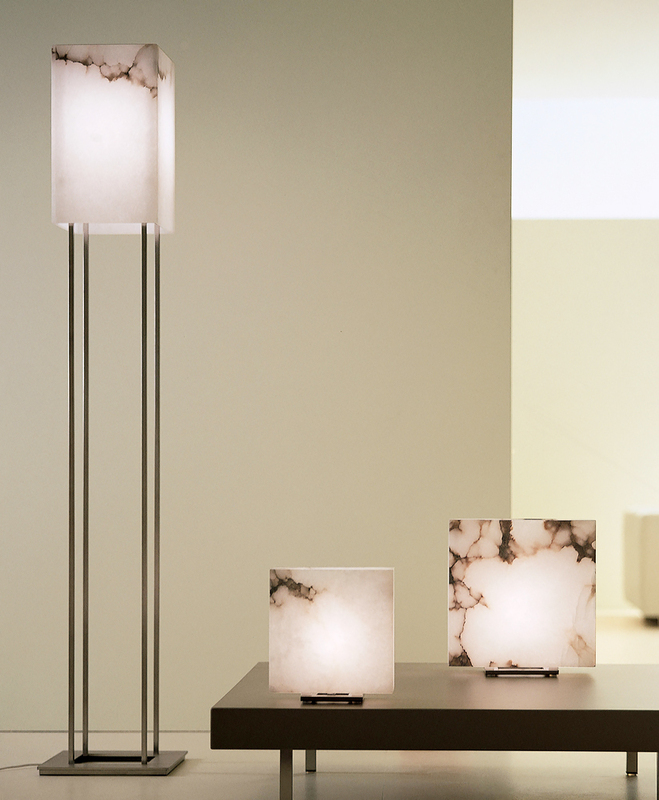 Prized for it's softly translucent quality, purity of color, and dark rich veining, Tuscan Alabaster has been used by artisans for centuries and is widely considered to be the best quality Alabaster on earth. 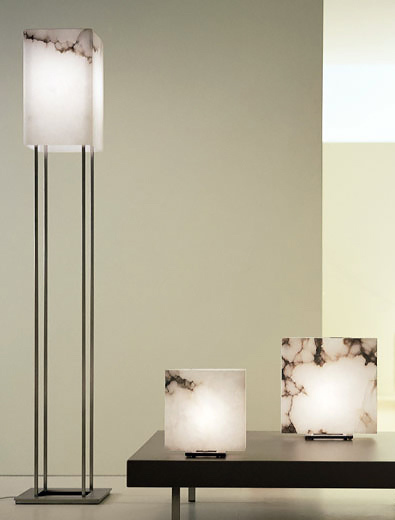 When illuminated, these lamps produce a stunning soft warm glow, when turned off, the purity and whiteness of their Alabaster lamp shades is equally remarkable. 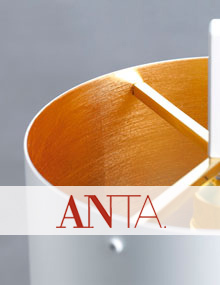 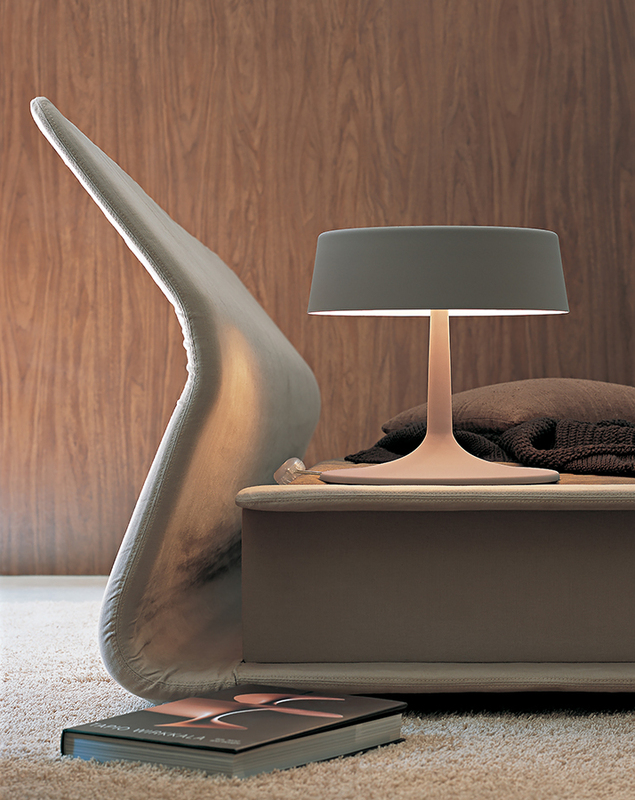 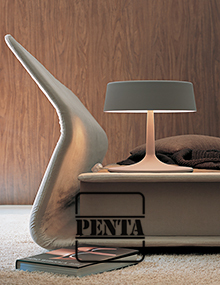 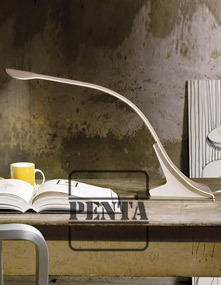 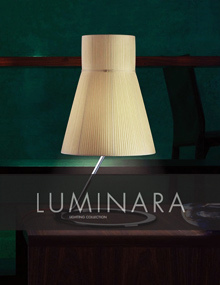 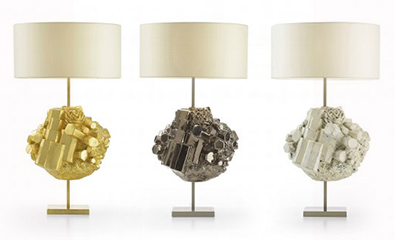 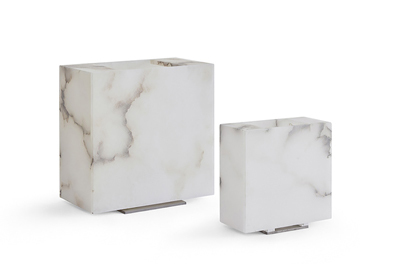 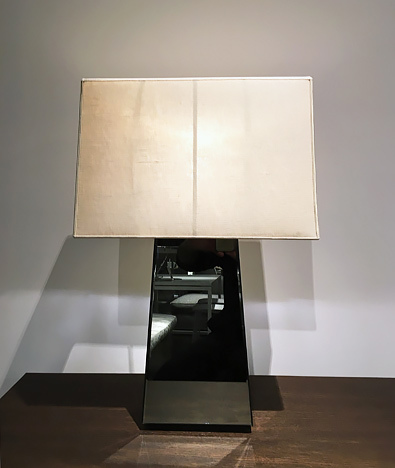 Lamp shades are constructed entirely in Alabaster, with satin stainless steel frame and base. 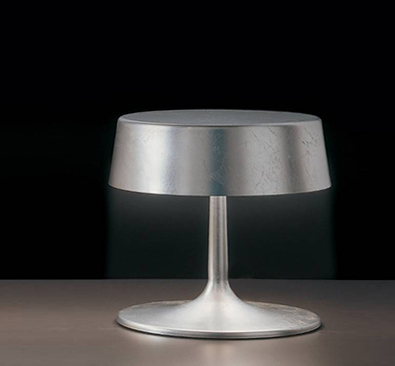 A classic, timeless piece of art. 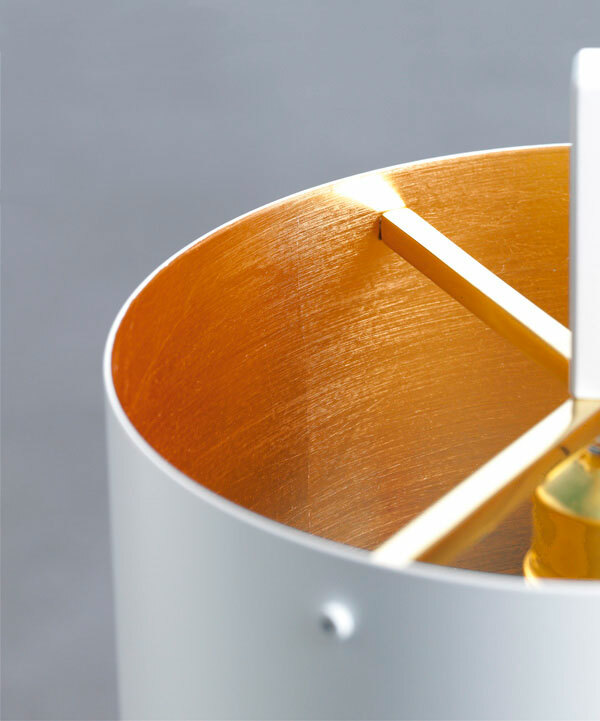 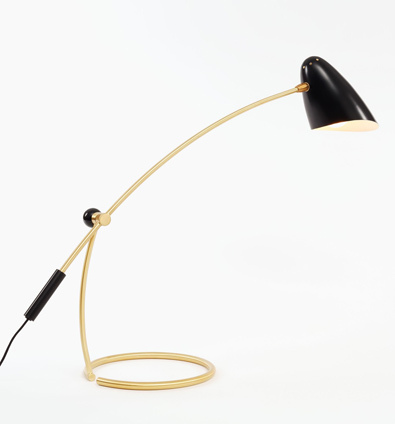 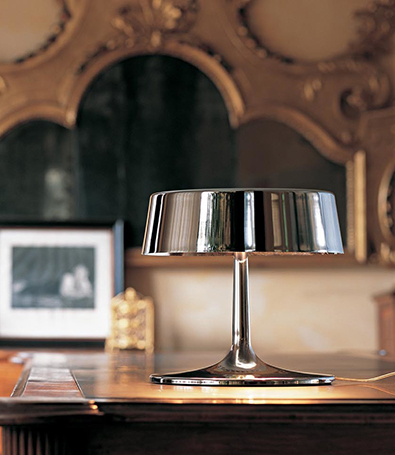 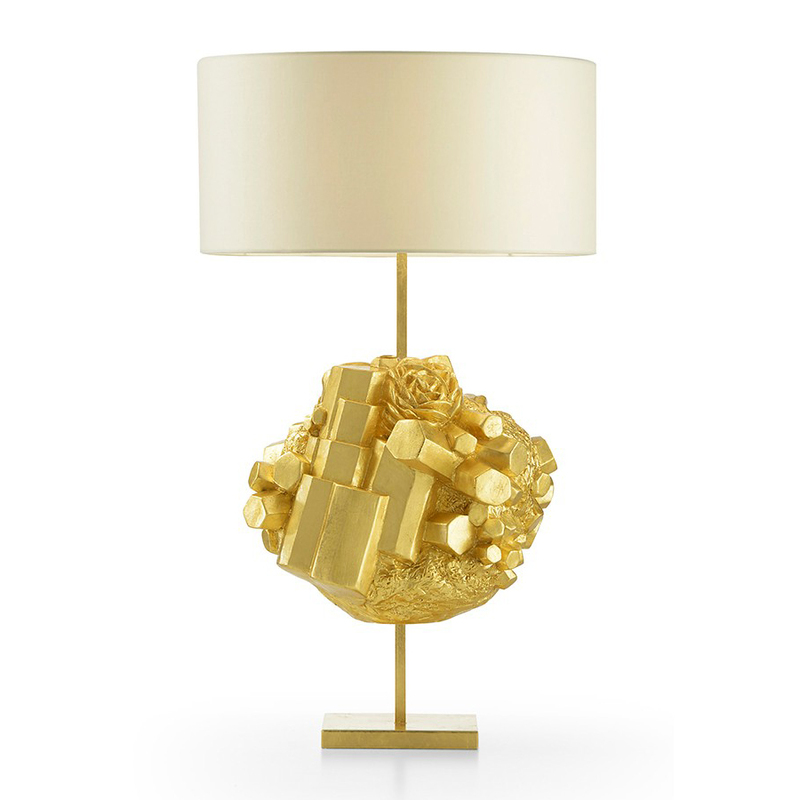 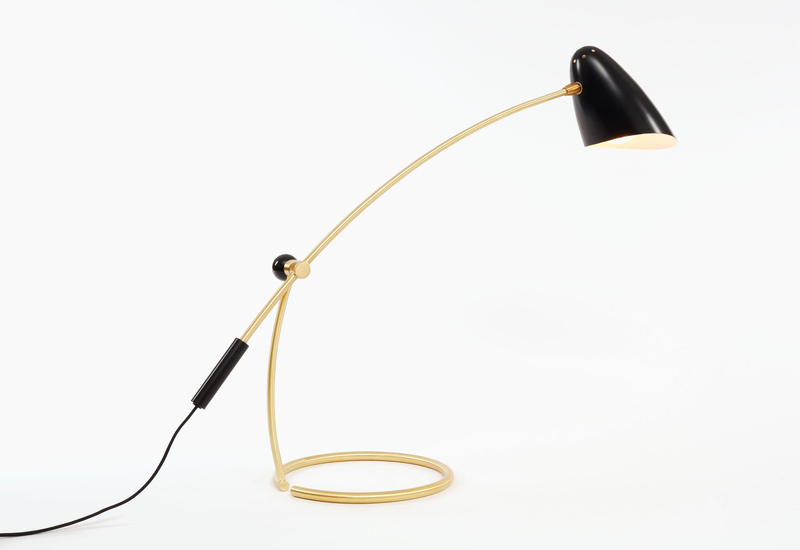 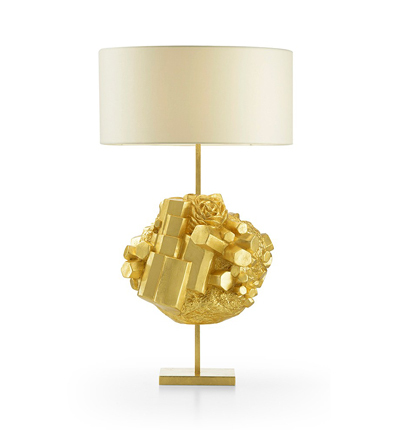 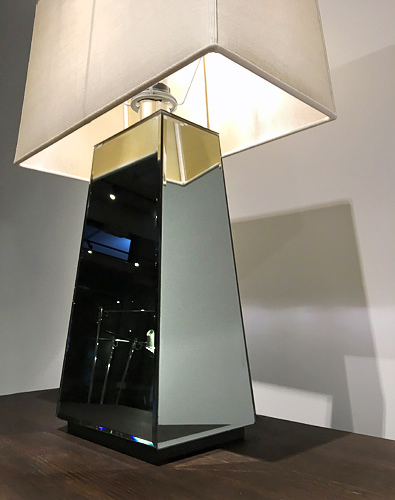 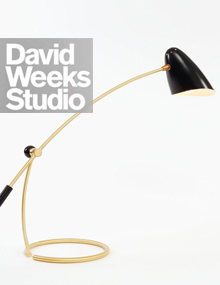 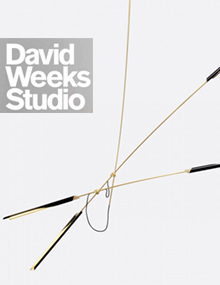 Table lamp with all metal parts in lacquered black or white, with interior lamp shade lined in gold leaf or silver leaf. Black fabric cord, with red pull switch in lamp shade. 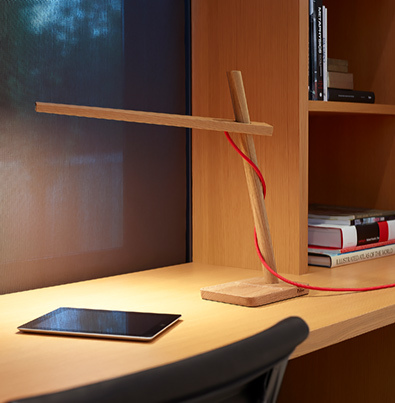 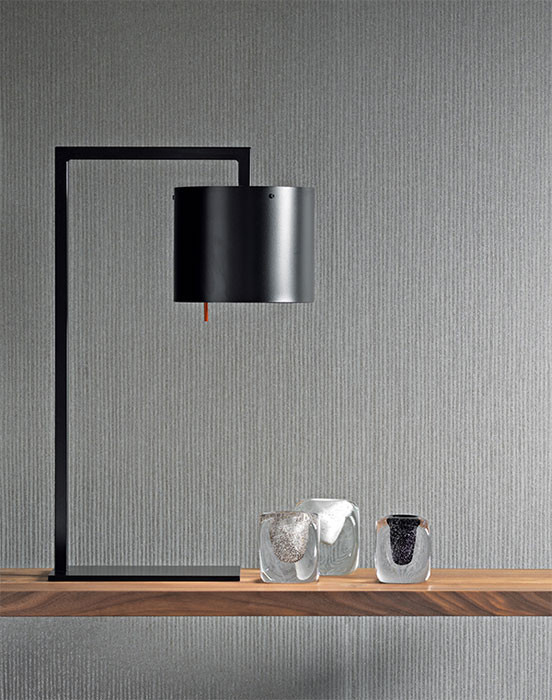 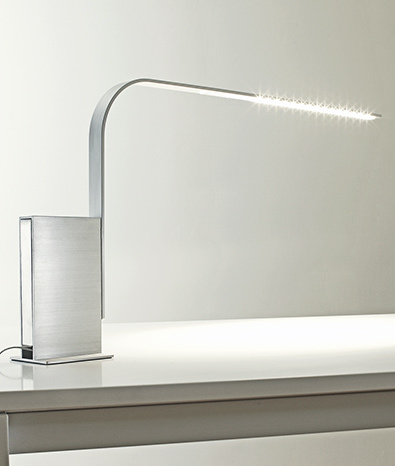 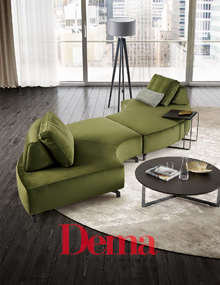 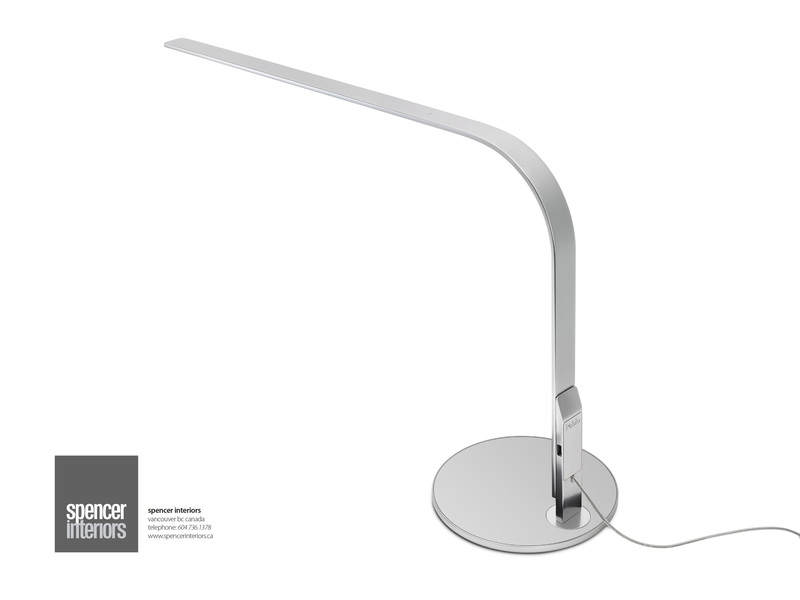 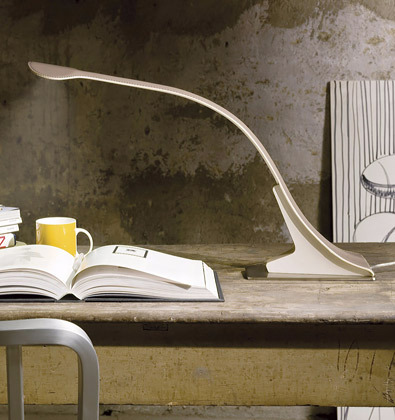 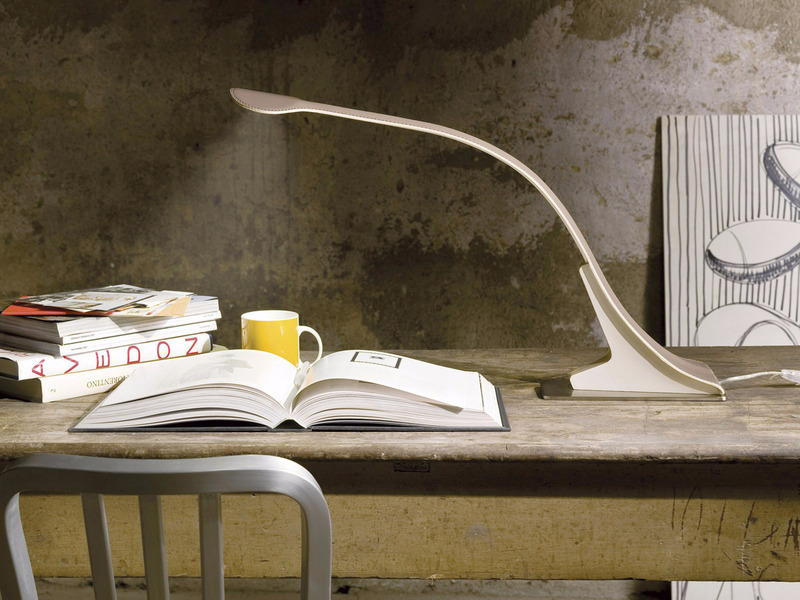 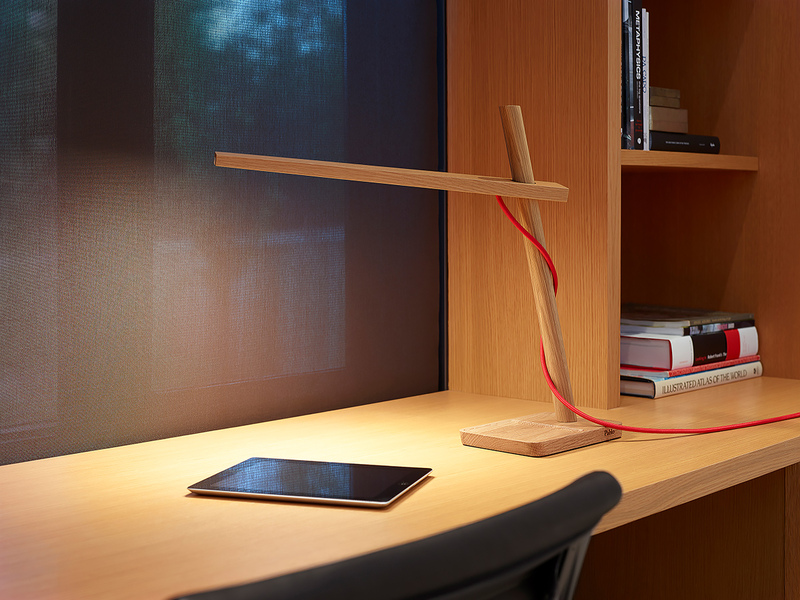 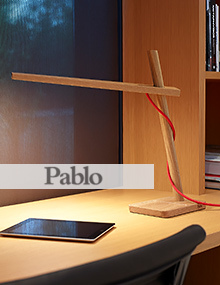 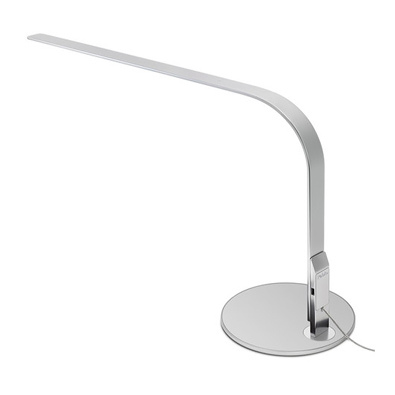 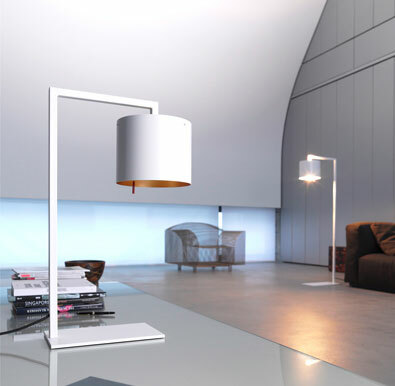 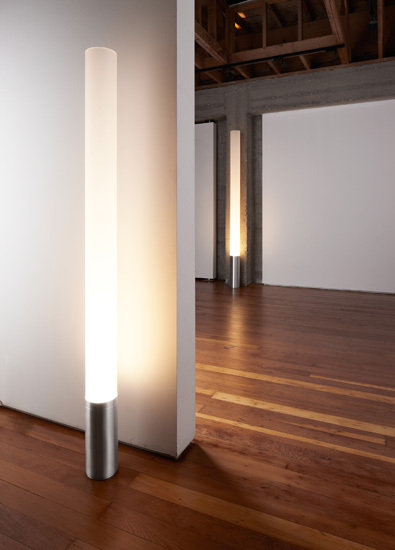 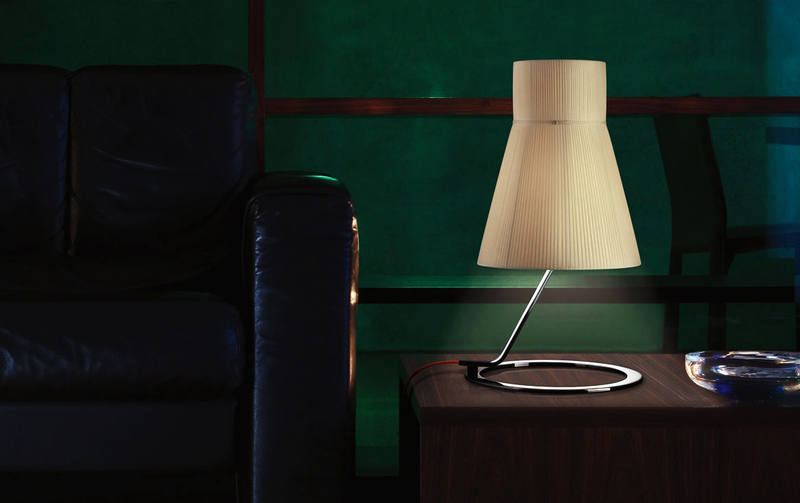 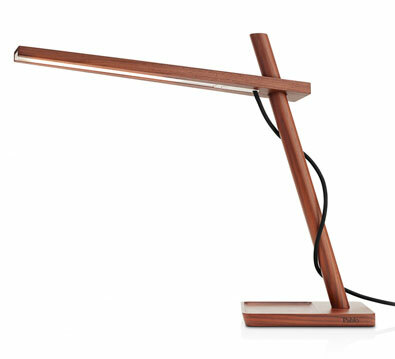 The Adjustable Arc lamp features a counterweighted arm that adjusts up and down to your desired height. 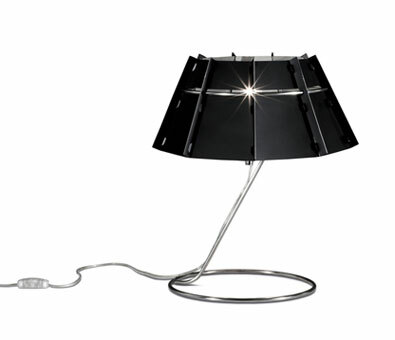 The handspun aluminum shade rotates 320 degrees to cast light directionally. 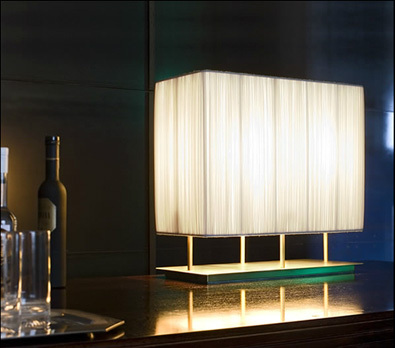 Available with Bullet or Bottle shades.